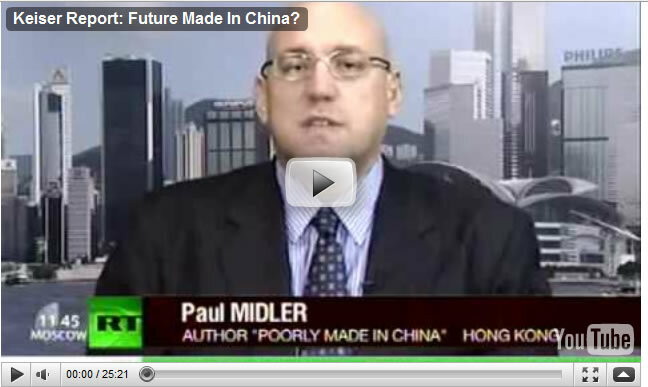 Max Keiser Report: Can China Save Western Economies From Collapse? This week Max Keiser and co-host Stacy Herbert look at whether or not, as Western economies collapse under the weight of all their debt, China can save the world economy. In the second half of the show, Max interviews Paul Midler, author of "Poorly Made in China", about China's $300 billion rail projects; how restricting liquidity in a command and control economy actually accentuates misallocation of resources; and about having to hire lawyers to find out what is in his shampoo.